This is a list of the top 5 best scuba regulators of 2018. 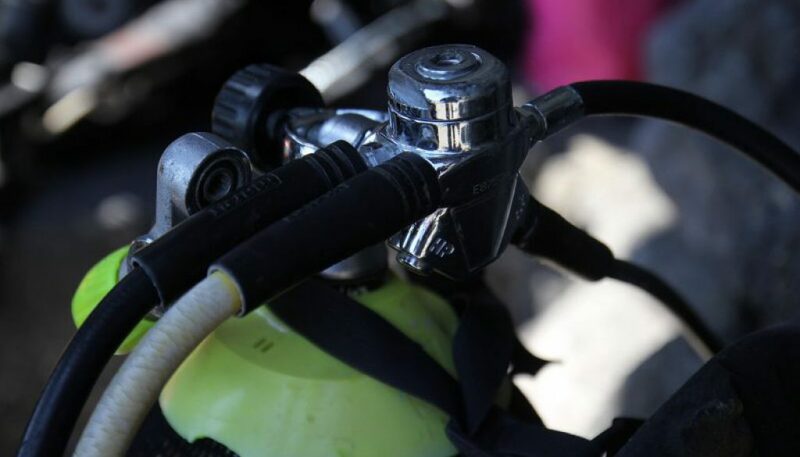 Scuba diving regulators are the devices that allow you to breathe air from the scuba tank. They do this by reducing the high-pressure air in the tank to a breathable level, via two stages. The First stage which attaches directly to the scuba tank and a Second stage that you put in your mouth and breathe from. The two stages are connected by a hose. For an explanation of how the regulator works, just follow this link to my How Does A Scuba Regulator Work article. 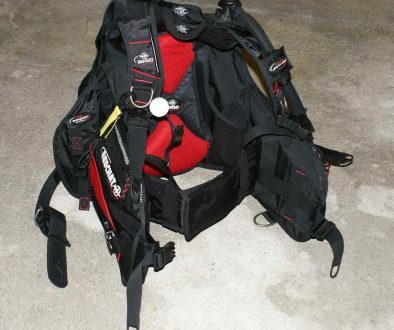 This review of scuba regulators contains low-end to high-end regulators in ascending order. To see the price of any of these regulators, just click on the appropriate image. The Cressi Sub AC2 XS2 is the lowest cost regulator that Cressi Sub makes. But it has excellent performance for a low-end regulator. It is their most robust and durable regulator on the market and is an excellent choice for beginners as an entry-level regulator or the budget minded. 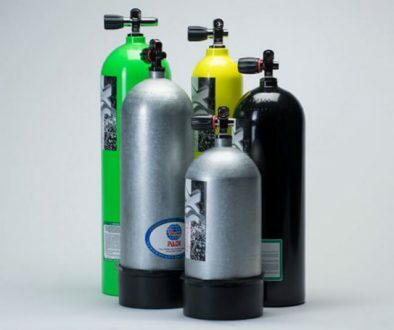 Due to is low cost and low maintenance and it pure ruggedness and durability, makes it a great choice for rental shops and dive centers alike and it is Nitrox compatible. The design is simple yet it delivers high-performance functionality and is very easy to service and maintain. It also comes in either an INT (yoke) or DIN fitting. The Alpha 9 combines effortless breathing, economical construction, compact design with excellent performance and reliability. It is tough and rugged and comes with a maxflow braided, UV protected hose that outperforms any rubber hose. Due to its extreme flexibility, there is a significant reduction in jaw fatigue and with the patented orthodontic mouthpiece makes this one very comfortable regulator. The Alpha 9 has proven itself to be an outstanding regulator that has outperformed other high-end regulators. Because of its design, it is easy and cost-effective to maintain. This regulator should meet all your needs as it is a sealed unit and can be used in warm or cold water. This is another superbly designed regulator. It is tough and durable with outstanding performance. The First stage is Hyper-balanced regulator that is covered in a semi-flexible elastomer sheath that protects it from debris, corrosion, wear and tear. It offers excellent airflow control and the saddle of the yoke is made from 316 stainless steel which makes it extremely durable. The second stage is an Ellipse balanced stage with a slightly larger casing made from sound absorbing material. It is very well-designed, easy to maintain and service and very cost effective. The pneumatic balancing system of the piston allows for constant performance at any depth and with any tank pressure. The 500SE DC7 offers unparalleled performance for both air and trimix divers via a servo controlled valve system. The overbalanced diaphragm provides optimum performance regardless of depth, temperature, or tank pressure. This side exhaust system offers top performance in all conditions. It offers ideal hose routing for both backmount and sidemount users and provides excellent operation under even the most extreme conditions. This is a really top of its class regulator and easily outperforms other high-end regulators. And it just looks cool. The B2 is a superbly designed regulator that offers you the absolute best in performance, reliability, serviceability, functionality, and design. This is a top of line regulator that outperforms most high-end regulators on the market today. Made from the best materials available, this regulator demands your respect in its superbly designed form. The B2 is ergonomically designed to be the world’s most comfortable second stage on the market and the only difference between the B2 and the T2 is that the T2 First stage is all titanium construction whereas the B2 is constructed out of chrome plated brass and 316 stainless steel. That is a list of the best scuba regulators of 2018. I am sure you will find one that will meet all your needs. If you have any comments or questions please feel free to leave them below and I will gladly respond to you. Nice! Is there certain type diving in which one would outperform the others such as depth? Hi Eddie and thanks for stopping by. Yes, there is, if you are planning on becoming a deep water diver then I would recommend a Sealed, Overbalanced first stage and a balanced second stage combo. This will give the best performance for deep water diving. Also would go for a DIN fitting. Hope this helps u out and hope to see u in the water soon. When it comes to regulators, you don’t want to mess around and ensure you have good quality stuff. The Hollis 500SE DC7 seem to tick my boxes. I’ll be ordering that one. Thanks for the review. Hi Vince. Yes you are correct about the importance of the quality of the regulator for sure. I am sure that you will be very happy with the Hollis regulator, happens to be my fav too, lol. I wish you a great day and hope to see u in the water soon.